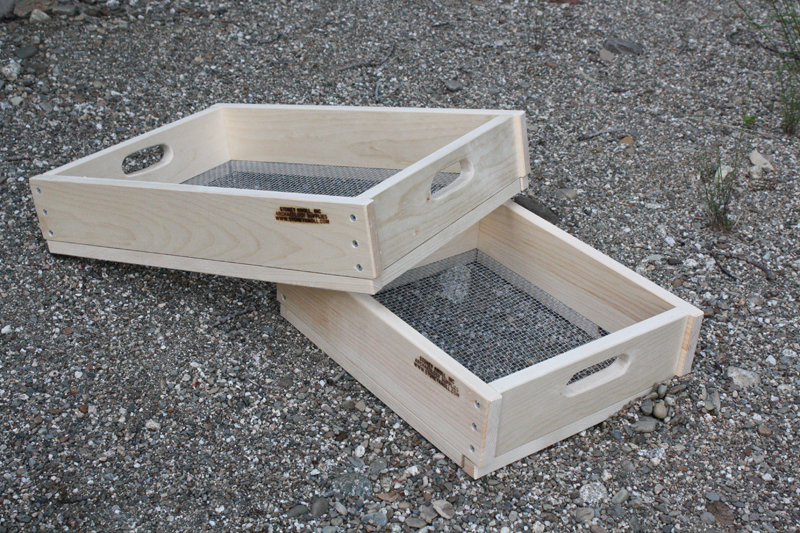 Our small hand sifter with "milk crate" handles instead of steel handles. By customer request. Screen Area: 12" by 14"
Comprised of light, durable New England White Pine. Superior 1/8" stainless steel woven, wire mesh.